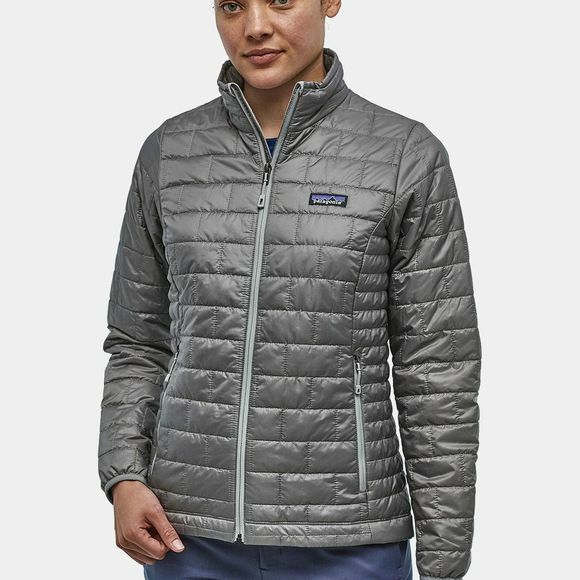 The Women's Nano Puff Jacket from Patagonia is ideal as a belay jacket on chilly routes or as an insulated jacket while out on winter walks, it traps in the heat and blocks out the wind, keeping you nice and toasty. Made from a 100% recycled polyester shell that is designed to shed rain and the low-bulk, hydrophobic PrimaLoft Gold Insulation Eco is designed to keep you warm with high efficiency, even if it gets wet. The internal zipped chest pocket can also be used as a stuff sack, it even features a carabiner clip-in loop so you can clip it on your bag for easy access. With the two zipped handwarmer pockets, elasticated cuffs and a dual-adjust drawcord hem, you can keep out the wind and keep in the warmth.